Neighbor Chain Website” serve as an attractive medium for donors to donate funds to fundraiser or advertiser group associated with a particular neighbourhood code over the site. The motto of proposed web solution is to provide online fund raising that will be offered by administrator that would be a User Centric, User Oriented and would be easy to navigate and use. NeighborChain choose LogicSpice for its ability to develop for complex websites, and providing efficient solutions with logical approach to the requirements. The website has only single version that is running successfully from the date it was released. 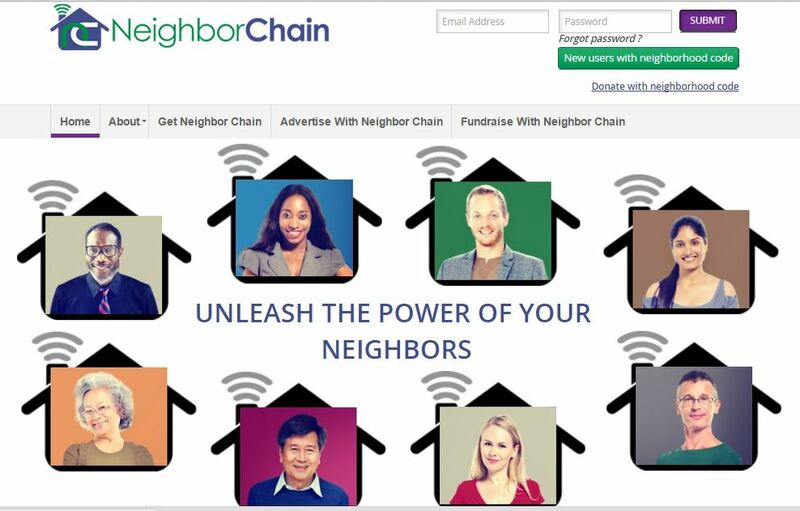 “Neighbor Chain Website” is an attractive medium for donors to donate funds to fundraiser or advertiser group associated with a particular neighbourhood code over the site. Site will have two sections i.e. back-end and front end. Back-end section is for administrator use only who can add/edit/delete fundraising, advertising group, donor and can control all the functions in the site and Front end section is for fundraising admin, advertising admin and donors who will visit site, can register with their email address and neighborhood code. Fundraiser and Advertiser admin will register themselves by filling basic information and neighborhood code assigned to them manually via admin. LogicSpice continues to provide expertise and services in support of NeighborChain ongoing program of website development.